The tumultuous run of ‘Till I Met You’ is about to end. The second teleserye to star James Reid (as Basti) and Nadine Lustre (as Iris), ‘Till I Met You’ marked a change of direction for the love team. While their previous series ‘On the Wings of Love’ was presented as more of a light-hearted drama, ‘Till I Met You’ incorporated more serious themes such as LGBT relationships, as evidenced by the addition of JC Santos (as Ali). ‘Till I Met You’ first premiered on August 29, 2016. At first, it was placed in the second slot of Primetime Bida, as ABS-CBN hoped that the series can maintain the standard of excellence that KathNiel (‘Pangako sa ‘Yo’) and LizQuen (‘Dolce Amore’) instilled earlier that year. Unfortunately for JaDine, it was not to be. ‘Till I Met You’ only mustered around 26% average ratings in its first two weeks (in contrast, ‘Pangako sa ‘Yo’ and ‘Dolce Amore’ scored around 30% or more in each episode), forcing ABS-CBN to demote the drama to the third slot in favor of ‘Magpahanggang Wakas’. Despite JaDine’s familiarity with the third slot, ‘Till I Met You’ found it hard to win back viewers, at least locally. Unlike ‘On the Wings of Love’ which scored better than 25% during its run, ‘Till I Met You’ only managed 13% on average. To make matters worse, ‘Till I Met You’ failed to dominate its timeslot, and even lost in the ratings battle at times to rival GMA series ‘Someone to Watch Over Me’ and ‘Meant to Be’. The series’ seemingly familiar plot (remember ‘My Husband’s Lover’?) may have turned off some more knowledgeable viewers. Overall, even with the total count of 105 episodes by Friday’s finale, ‘Till I Met You’ is considered a ‘bust’ by JaDine’s standards. There may have been some moments worth talking about (e.g. Basti and Iris’ car scene), but other than that, ‘Till I Met You’ essentially underachieved under the bright lights of primetime. Whether or not JaDine can bounce back with their next TV project remains to be seen. But for the viewers who have enjoyed watching ‘Till I Met You’ despite its underachieving status, the last week of the series should be worth the price of admission. Amid the declining population of GMA’s roster of artists, there are some who stayed loyal with the network despite its declining fortunes. 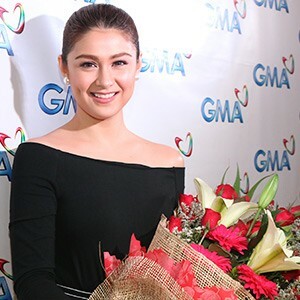 One such talent was Carla Abellana, who opted to remain a Kapuso for another three years. An upcoming teleserye produced by GMA News and Public Affairs awaits her, in addition to existing roles in ‘Ismol Family’ and recurring appearances in ‘Sunday All-Stars’. Best known of late for her team-ups with Tom Rodriguez and Dennis Trillo in ‘My Husband’s Lover’, Carla first earned a major role in 2009’s ‘Rosalinda’, alongside former on-screen partner Geoff Eigenmann. While more famous for dramatic roles, she did dabble into comedy via ‘Bubble Gang’, and is currently part of ‘Ismol Family’ alongside Ryan Agoncillo. Now GMA must hope that Carla remains a valuable asset moving forward. GMA cannot afford any losses at this point, so keeping Carla and other artists, along with improving the aspect of talent development, is a must.